Pump fuel. Get an instant discount. And get points. With over 100 Zs around the country, you don’t have to go out of your way to fill up. 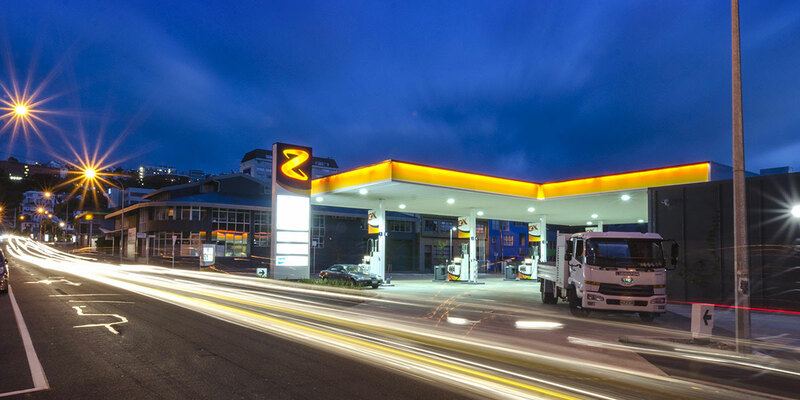 Z is the one stop location to fuel up, grab a 100% Arabica bean Z Espress coffee, pick up few items or make your car sparkle like new with a Z2O wash.
And unlike other petrol stations, you’ll find friendly Forecourt Concierge offering good, old fashioned service at every site from 10-5pm every day. You’ll love it. Fuel purchases by all cardholders on your account are added together so the points quickly build up. *Please note that litres accumulated towards your next point when using the Fastlane service will only count toward future fills using the Fastlane service. Similarly, litres accumulated when not using the Fastlane service will only count towards future fills that are not using the Fastlane service. Z love to give you bonus points. You’ll also pick up bonus Fly Buys points when you get your favourite things like our famous 100% Arabica bean Z Espress coffee, SWAP ‘n Go gas bottle, take home oil packs or a Z20 car wash.
Save an instant 6c off per litre at Z and earn points too. It’s easy, just scan your Fly Buys card or app.